Mrs Reid was putting together a Beanbag Throwing team and so need to find out who to choose. 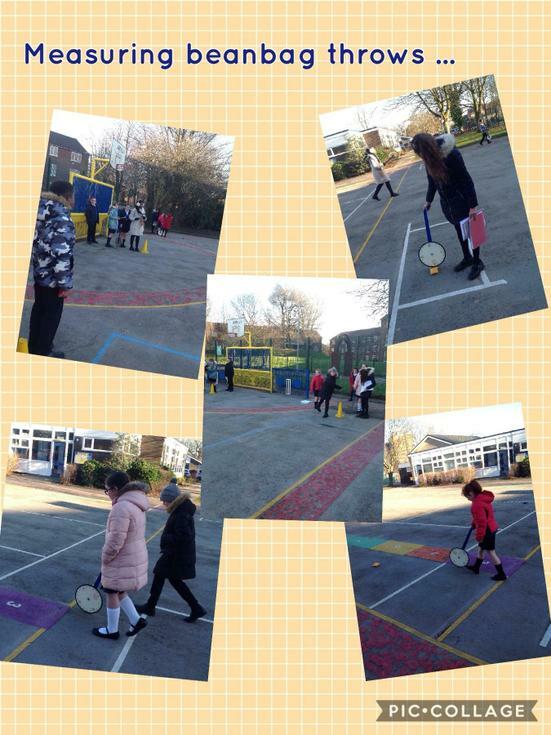 We decided to practice throwing the beanbags to see who threw the furthest. 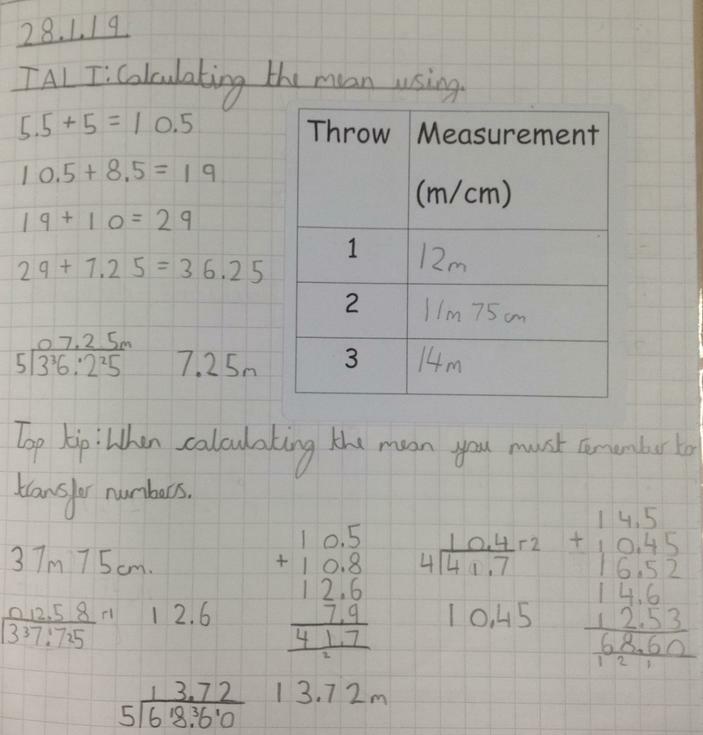 To make it fair and precise, we decided to throw three times and then find the mean average throw. 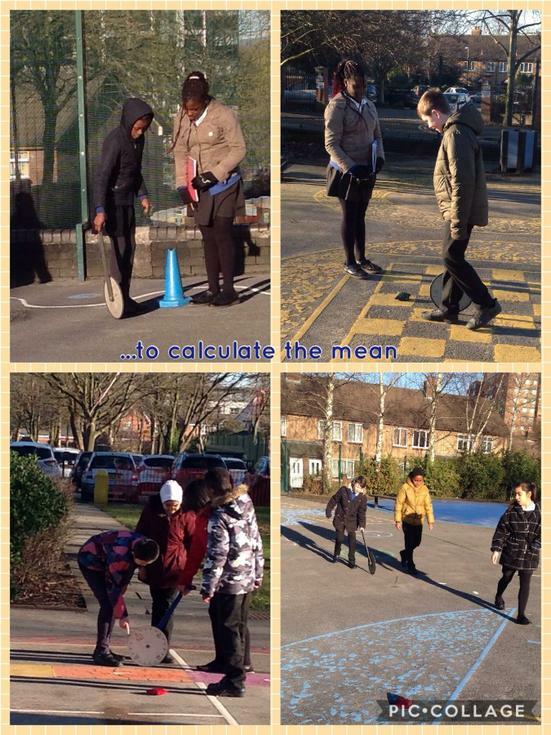 The children used their accurate measuring skills with trundle wheels and then calculated the mean using addition and division methods.